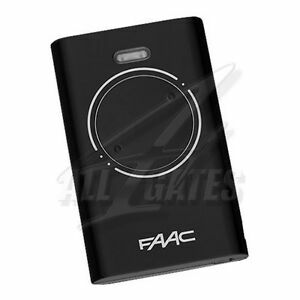 FAAC XT2 868 SLH 2-channel remote transmitter. SLH: Self Learning Hopping code with transmitter-to-transmitter programming functionalities (FAAC patented). Manufacture: FAAC. SLH = SELF LEARNING HOPPING code: the code varies whenever the transmitter is used.